ATHENS, Ga. – Behind 303 yards on the ground and a scoreless second half, the fifth-ranked University of Georgia football team defeated the 24th-ranked Tigers 27-10 in front of a capacity crowd at Sanford Stadium on Saturday night. For the third consecutive contest, sophomore tailback D’Andre Swift ran for over 100 yards, leading the Bulldogs (9-1, 7-1) with a career-high 186 yards on 17 carries. Swift also paced Georgia through the air, reeling in a team-high four receptions for 43 yards. Senior tailback Elijah Holyfield also registered 15 carries for 93 yards. The pair of tailbacks combined for 32 carries and 279 yards. 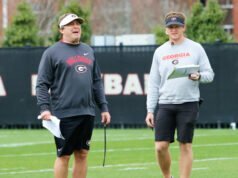 Sophomore quarterback Jake Fromm directed the offense, producing a 13-for-20 clip for 193 yards, helped by senior wide receiver Terry Godwin, who added a team-high 84 receiving yards and a touchdown. 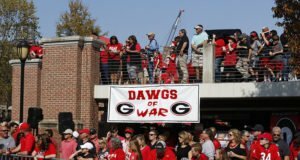 Auburn scored for the final time in the second quarter at the 7:46 mark, halted by a Georgia defense led by sophomore linebacker Monty Rice with eight total tackles and sophomore defensive backs Richard LeCounte and Mark Webb with six apiece. After sending the Auburn (6-4, 3-4) offense to the sideline after its first five plays, the Bulldogs took the field to conduct a 10-play, 80-yard scoring drive. 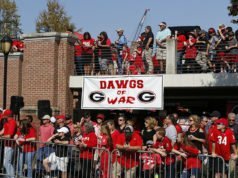 A 25-yard Godwin reception and a 22-yard Holyfield rush preceded a Rodrigo Blankenship 25-yard field goal for the 3-0 Bulldog advantage. The Tigers responded on the next drive, using a 9-yard pass from Auburn quarterback Jarrett Stidham to John Shenker to establish the 7-3 lead. A 15-play, 73-yard Georgia drive followed, finalized with another Blankenship field goal to cut the Tiger margin to one. The back-and-forth battle continued into the next Auburn possession, as the Tigers marched to the Georgia 5-yard line. A stout defensive stand – complete with an Eric Stokes pass breakup on a touchdown pass in the end zone – held the Tigers to a field goal for the 10-6 score. 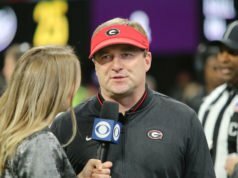 With a kickoff return from the goal line, junior wide receiver Mecole Hardman placed the Bulldogs on their own 41-yard line, and the footwork of Georgia tailbacks Holyfield, Swift and Brian Herrien guided the Bulldogs to the Auburn 20-yard line. Fromm completed a 7-yard pass to senior wide receiver Ahkil Crumpton before connecting with junior Tyler Simmons in the end zone on the next play. Simmons’ first-career 14-yard touchdown claimed a Bulldog lead Auburn could not overcome in the remaining 32:47. Three plays and 47 seconds after the Blankenship PAT, the Georgia defense sent its offense back onto the field with two minutes remaining in the half. 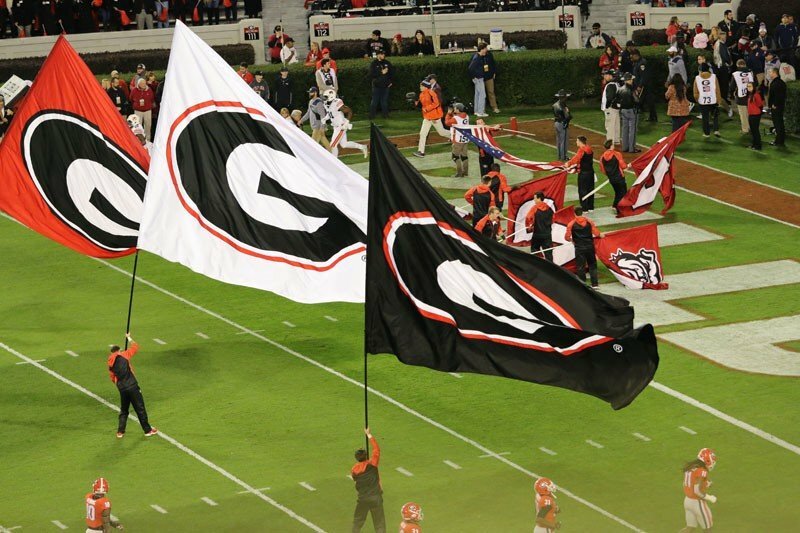 Fromm connected with Godwin for a 38-yard touchdown, sending the Bulldogs into intermission with the 20-10 lead. The touchdown marked the fourth time this season Georgia has scored with less than two minutes remaining in the half. Hardman guided the Bulldogs to favorable field position once again in the second half – this time for the defense – halting a Jake Camarda punt at the 1-yard line to place the Tigers’ offense inches from their own goal line. 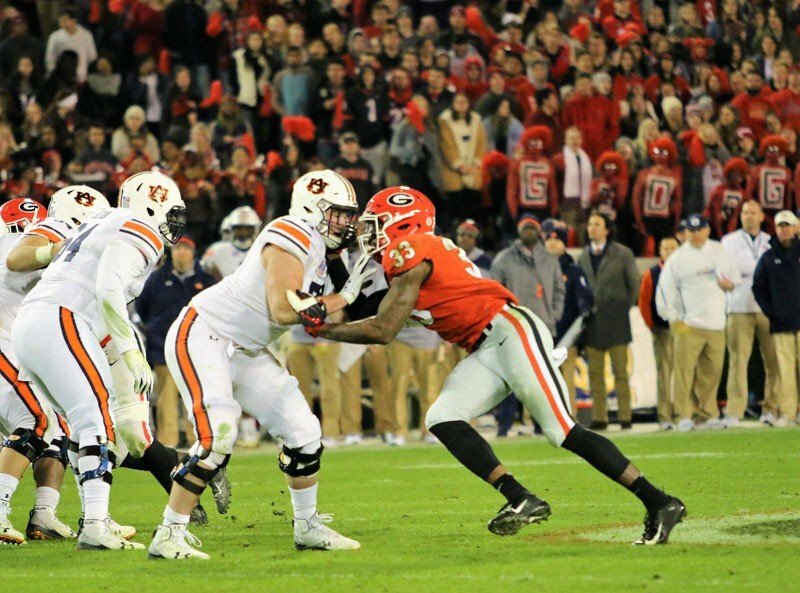 Auburn was forced to punt, and on the next Bulldog drive, Swift ran for a 75-yard touchdown, sealed with a Jeremiah Holloman block downfield. The Blankenship extra kick sealed the 27-10 final.